Sharing a great article written by my former supervisor at Inktomi. Steve distills Oprah’s Super Soul Sunday wisdom into nine principles to live by. Thank you Steve and Heather for sharing! This explains a lot of why I am following my heart on this journey. 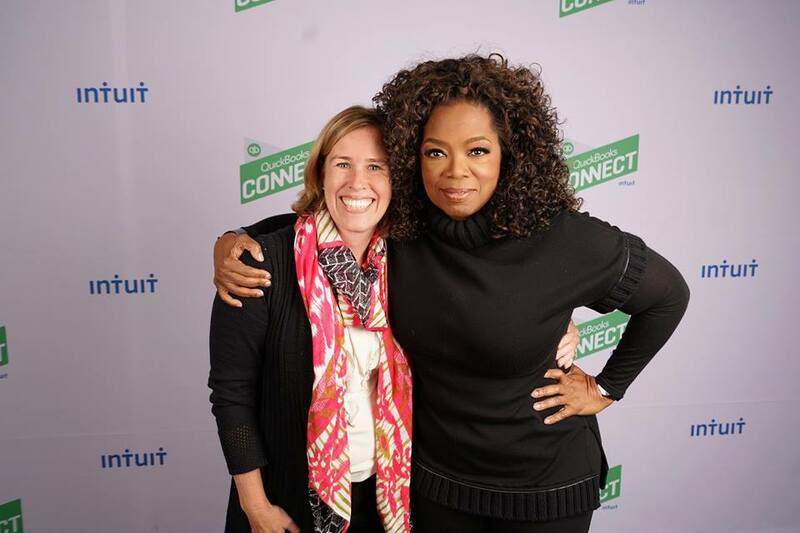 Last week, Intuit Corporation staged a big event for thousands of small businesses in San Jose called “Intuit QuickBooks Connect.” Several weeks earlier, the Intuit team had locked down Oprah Winfrey as the main speaker. I know this because my wife, Heather McLellan, runs corporate communications for the Small Business Group at Intuit. That’s her on the left in the picture above. Now, lest you think booking Oprah is merely a matter of throwing gobs of cash in her direction, reconsider your perspective. Because when you have an estimated net worth of $3.2 billion, that tactic may not motivate you.